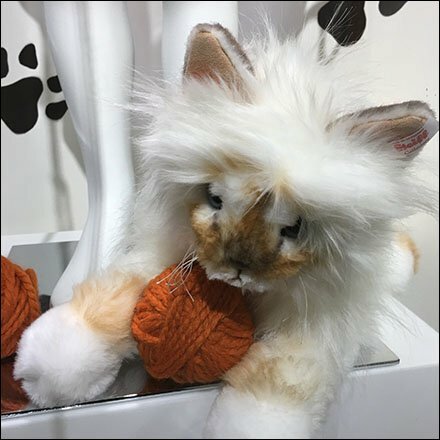 The merchandise is the sell, but this Playful Pet Prop Museum Case At Neiman Marcus adds activity and interest with Yarn. Yes Kitty is cute but the strings and balls of Yarn are what truly make the concept unique and interesting. Paw prints on the wall make sure the backdrop is not too plain. This Playful Pet Prop Museum Case At Neiman Marcus seen at The King of Prussia Mall.